Our drumming and rhythm events as team building activities are transforming teams into healthy working communities. Drumming creates a sense of community by people experiencing powerful moments of connectedness. These empowering team building events work in any environment from formal team building settings to informal team gatherings. They are accessible to absolutely everyone, regardless of whether they "think" they have rhythm or not. The event/s we create for you are directly in line with the feel and purpose of your event, your objectives and your desired outcomes. We use impressive African drums, universal rhythms and each persons own creative input and "feel" to create a community within your team/s. Each team member receives a drum or simple percussive instrument and is led by our trained facilitators who know how to bring out the best in every person. We approach the event knowing that people have different learning styles and in this knowing the experiences is very rich. The key to success is that the drumming is intuitive, spontaneous, and highly personalised. It allows for the greatest amount of creativity and self-expression within a structured and disciplined process.This is an excellent way to demonstrate what it takes to build a great team. Drumming is a completely “in the moment” experience. Using the medium of the drum we leave the thinking mind, break away all barriers, refresh the body and are ready to communicate in a completely new and very effective way. There is then the option for an open discussion amongst the group of the analogies between the successful drum circle and the productive work environment. This proves to be a very powerful way for the working team to get a fresh look at how they relate to each other and how they may apply some of the simple principals they have just learned. 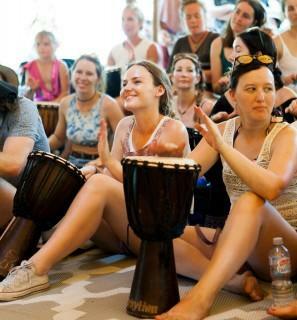 Through present moment awareness our corporate team building events using rhythm and drums enable participants to experience first hand what it takes to create a healthy team or community. The focus is on alot of fun, inclusion and appreciation. We have created 1000’s of drum and rhythm based workshops and team building activities for many different organizations including businesses in finance, investment, law and medical through to IT, advertising, fashion, sports, marketing and more. Our team building activities are availableAustralia and Indonesia wide. Worried about stressed employees and high staff turnover? According to a US study, the answer to your problems might be... drumming. A study conducted by neurologist Barry Bittman took staff at an aged care home in Pennsylvania and put them through six weekly drumming sessions. According to Dr Bittman, the participants reported a decrease in feelings of fatigue and depression, improving their mood by almost 50 percent. Bittman also claims the effects of the drumming lasted a whole year, and resulted in 49 fewer employees resigning from the nursing home over the 12 months that followed. So what can banging away on a drum possibly do to improve the mood of employees? Well for one thing, drumming is one of the oldest and most fundamental group activities known to man - we've been doing it since the Stone Age, and drumming forms part of the traditional music of almost every culture in the world. Why? Because working together with others to create a rhythm fosters a community spirit, and encourages closer teamwork (before a hunt, for example, many communities drum together or perform powerful rhythmic dances to focus the hunting party and encourage them to work in harmony). From an individual health point of view, drumming is known to have excellent calming effects. It increases the endorphins in our bloodstreams and lowers the levels of stress hormones in the blood. Participants in even a short drum session report feelings of relaxation, wellbeing and even mild euphoria. Not a bad state to have your stressed-out employees in. 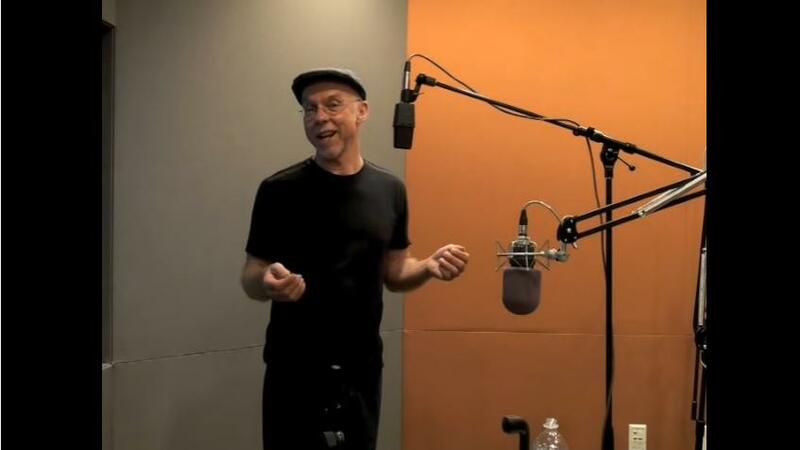 The concept of working together with a group of others to create a rhythm is known as entrainment - you'll find that if you make a random, rhythmic noise (clapping your hands, for example) and stand next to someone making another random noise (hitting a triangle, say), you will soon find that your noises come together to create a mutual, satisfying rhythm. Rather a good metaphor for a team in the workplace, in fact. If you want to test the effect that drumming can have on your team, invite a drumming facilitator to a company awayday or meeting. A drum session can be as short as ten minutes or as long as a couple of hours, and the results are surprisingly dramatic. A short drum session is useful as a fun icebreaker before a workshop or group session, whereas a longer one leading to a recognisable composition is great for a team of people who need to work together more effectively. A group of people from across different teams who start drumming together are visibly relaxed and energised after just a couple of minutes, and as they get further into the exercise, it's hard to find a single person without a beaming smile on their face. Just after a drumming session is a great time to lead a workshop on the lessons to be learned about interconnectedness, creativity and team cohesion, as people are always left feeling energised, upbeat and unified by the psychological effects of rhythm. You might even find that using drumming courses or weekend workshops as incentives for staff achievement plans both rewards your team and sends them back to you with a newly positive and constructive attitude to their work - a benefit for everyone.